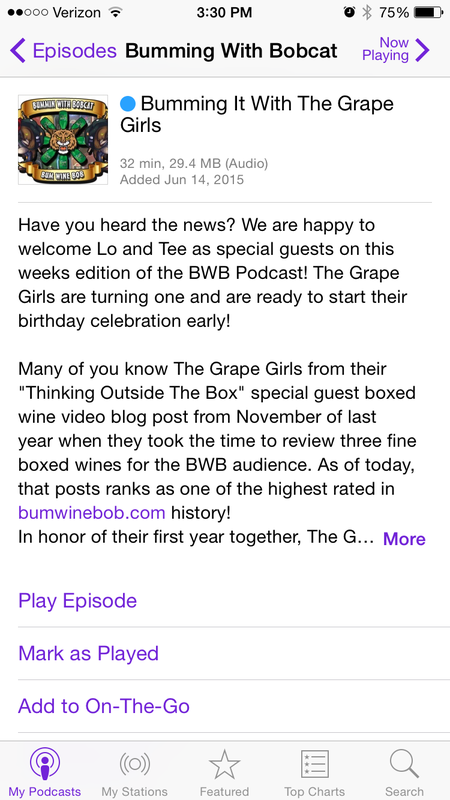 We welcome The Grape Girls, Lo and Tee to this weeks edition of the BWB Podcast! Many of you readers know The Grape Girls from their "Thinking Outside The Box" special guest boxed wine video blog post from November of last year, when they took the time to review three fine boxed wines for the BWB audience. As of today, that posts ranks as one of the highest rated in bumwinebob.com history! All the hard hitting topics in the world of alcohol were covered in this episode. 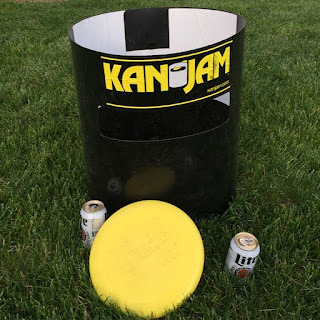 What happened to the Miller Lite punch top cans? What's the deal with chocolate wine? What's next for The Grape Girls after their birthday celebration? The Grape Girls also gave us their pick for the first ever BWB Wine Of The Week! Yes, an actual wine and not a bum wine. Check it out and learn all about it here. Anyone have a purple convertible (automatic preferably, it's hard trying to shift gears while holding your wine glass) to help take The Grape Girls up the west coast? Let them know! Be sure to check out their website at www.thegrapegirls.com and keep up with all their latest video and blog posts! Throw in a couple April Wine tunes and make sure you #TipItAndSipIt while listening to this weeks episode as we were "Bumming it with The Grape Girls"! 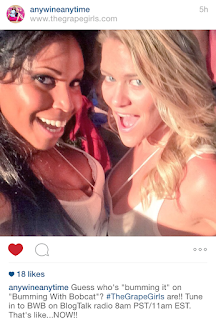 As The Grape Girls say: Now it's Any Wine (and/or BWB podcast), Any Time! Cheers! 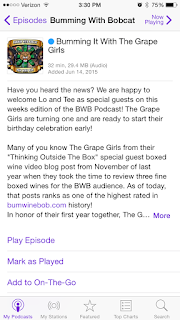 Listen to "Bumming It With The Grape Girls" on Spreaker.